Oh my have I been waiting for this one. Venom is one of my favourite ever comic book characters and maybe my number one favourite outside of The Joker. Ever since the mess that was Spider Man 3 came out I've been anxiously awaiting another chance for sinister symbiote to get his chance to really shine on the big screen. Eleven years later and it looks like my wish came true. Let's begin. So our story begins with a rocket crashing back down to earth and it appears that the pilots were able to procure an alien lifeform. One of these lifeforms is able to escape and bonds with a paramedic for an unknown purpose. And we won't find out until around the third act. The rest are being taken to the seemingly evil Life corporation. 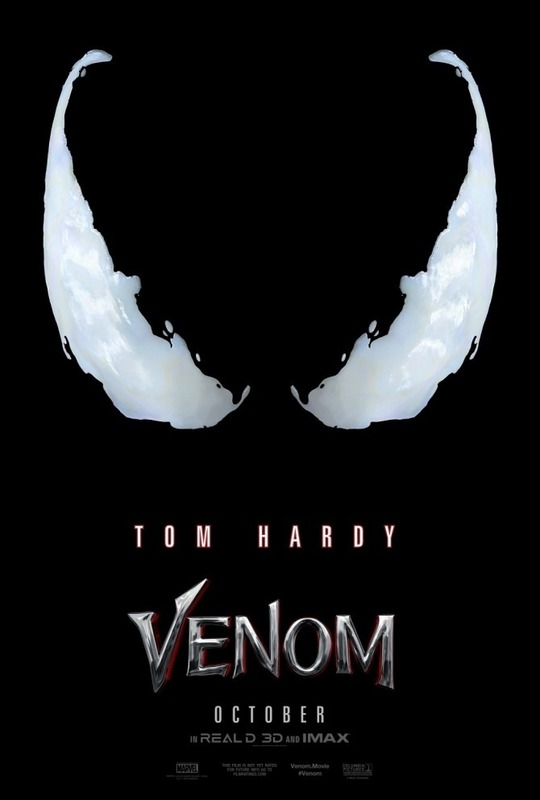 Our main character here is news reporter Eddie Brock (played by the always excellent Tom Hardy) as he is given the responsibility of conducting an interview with the chairman of the Life corporation: Carlton Drake (Riz Ahmed). This doesn't go too well and Eddie finds himself without a job. Later on, Eddie continues to investigate the Life Corporation and through a series of unfortunate events, ends up bonded with one of the alien lifeforms taken from the ship. This one is known as Venom. Now it's no secret that Venom has been getting some rather negative reviews from critics with most saying that the movie comes across as dull, but I never got that impression at all. The movie is surprisingly funny throughout and got quite a few laughs from me. The banter between Eddie and the Venom symbiote is fantastic and might be the best thing about the whole film. Seeing the full Venom suit in all it's glory is also fantastic and he looks great. The action scenes are a lot of fun as its just absolute madness at all times. 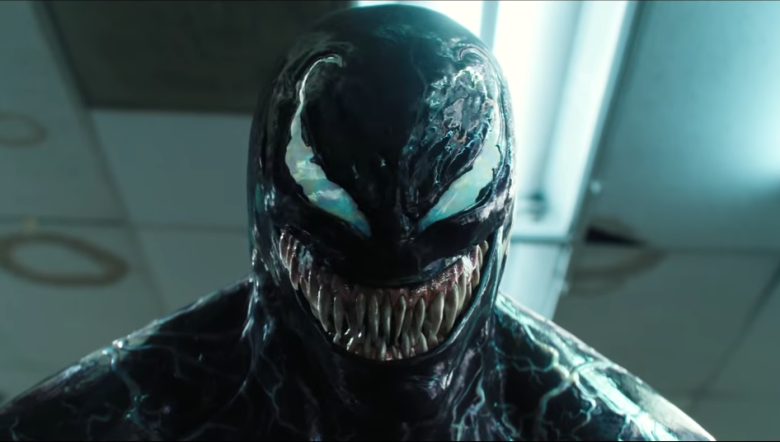 I will say that the villainous symbiote, Riot, was a bit disappointing as it did only appear at the start and then did not make any real impact until the film was near to its end and it almost felt rushed because of it. Don't get me wrong, seeing two symbiotes go head to head was a lot of fun but I just wish it had been a bit more focused. The beginning of the movie also has this issue as it does feel rushed with the first five to ten minutes used to introduce a few key characters and then suddenly it jumps to six months later, which left me wondering what the hell Riot was doing in those six months. Was it just wandering around until it was able to locate the other symbiotes? And why did it take six bloody months? These are the only real issues I had as otherwise the movie was a lot of fun with everyone performing well, with Tom Hardy especially making a good impression as he was definitely a great choice for the role. For anyone that reads the Spider-Man and Venom comics there are a few references here and there to look out for so keep your eyes and ears open. Make sure to stay for the end credits as well. Overall I had fun with this. It wasn't the best comic book movie but it was far from the worst one. All that matters is that Venom got to look good on the big screen and I can only hope that we get to see more of him in future. Maybe in the MCU? Who knows.